Although composed in the late 14th century, The Canterbury Tales exhibit deeply insightful perception about the various facets of human nature and the entanglements of human relationships. Although composed in the late 14th century, The Canterbury Tales exhibit deeply insightful perception about the various facets of human nature and the entanglements of human relationships. Many of the issues that Chaucer discusses in the tales transcend the parameters of medieval English society and retain their relevance in a contemporary cultural context and are perfect topics for literature research papers. 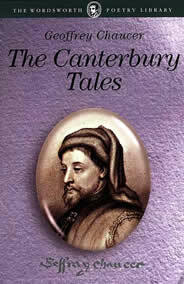 One issue that Chaucer returns to throughout the tales is that of women’s sexuality (like Wife of Bath). Through the narratives of both the male and female pilgrims, Chaucer contrasts the societal norms for acceptable sexual behavior in women with the exploits of the women characters in the tales. Much like today, there is considerable discrepancies between expectations and reality, and Chaucer uses this schism as a rhetorical tool for questioning the logical and ethical basis of the misogynistic social mores that were in place during his era. Paper Masters writes custom research papers on The Canterbury Tales and examine Chaucer's insightful perception about the various facets of human nature and the entanglements of human relationships.